Researching new technologies is how you advance through the game, making it easier to survive the storm. There are 4 different tabs in the technology tree, these are Heating, Exploration & Industry, Resources and Food, Health & Shelter. To actually start researching, you need to build a workshop. 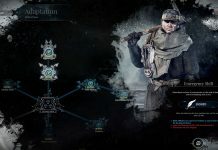 It should be a priority early on in the game. Add 5 Engineers to get maximum efficiency. You can increase the level of your workshop for the price of wood and steel, which will allow you to unlock more advanced technologies. There are a few ways you can increase research speed. We’re going to list them down below. 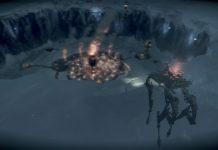 If you are ever struggling in Frostpunk, try lowering the difficulty. 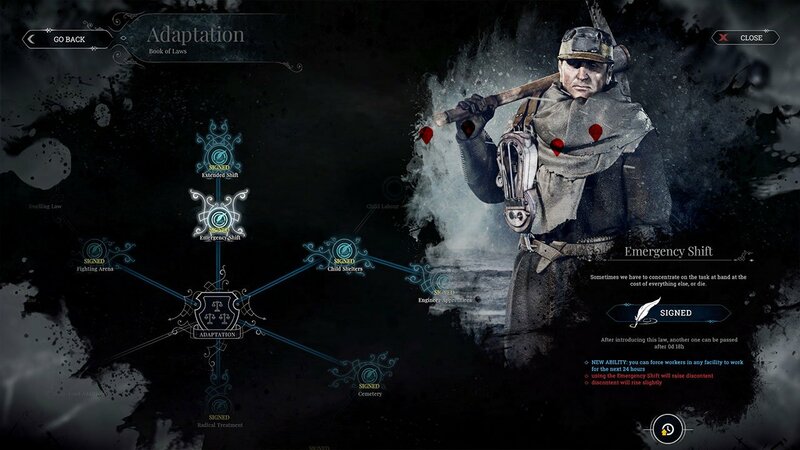 Check our other Frostpunk guides here. It seems building extra workshops may increase research speed. Using the Book of Laws, you can unlock longer shifts. The first one is the ‘Emergency Shift’, where you can set your workers to work for the next 24 hours. Discontent will rise considerably, and there is a chance workers may die on the shift from being overworked. In some circumstances, such as the coming storm, workers will be happy to work for an Emergency Shift and won’t feel discontent. You can call for an emergency shift in most buildings. It has a 2 day cool-down after use. As the name of the Law suggests, I only recommend using this ability for actual emergencies. There is a lot of downsides to using it. 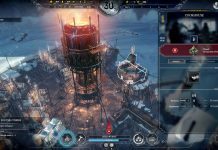 Click on the selected building and press the Clock icon with an up arrow to start an emergency shift in Frostpunk. 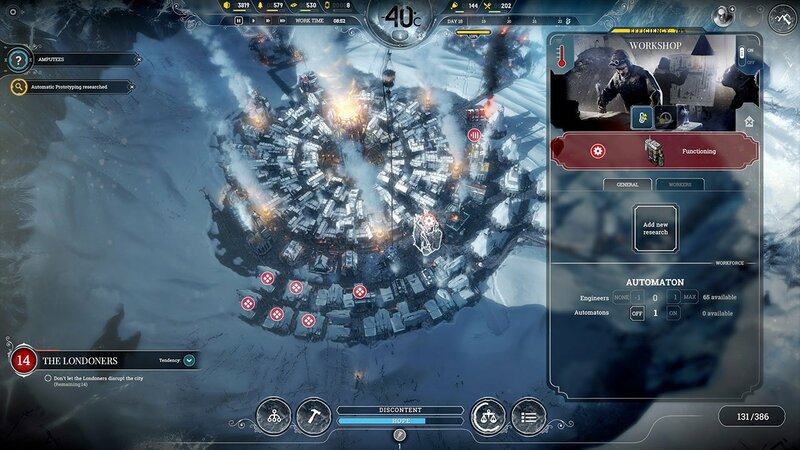 After unlocking the Emergency Shift in Frostpunk, you can then go on to unlock Extended Shifts. Extended shifts will allow you to increase the workday to 14 hours. From 6AM-8PM instead of 8AM-6PM. This is a permanent change, compared to the Emergency Shift and won’t take too much of a difference to discontent or hope. I highly recommend you use this on workshop, and other important buildings (if needed). 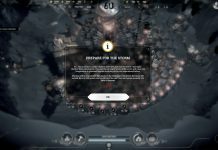 To start an extended shift, find the building you want to apply it too and use the toggle in the top left corner of the interface. 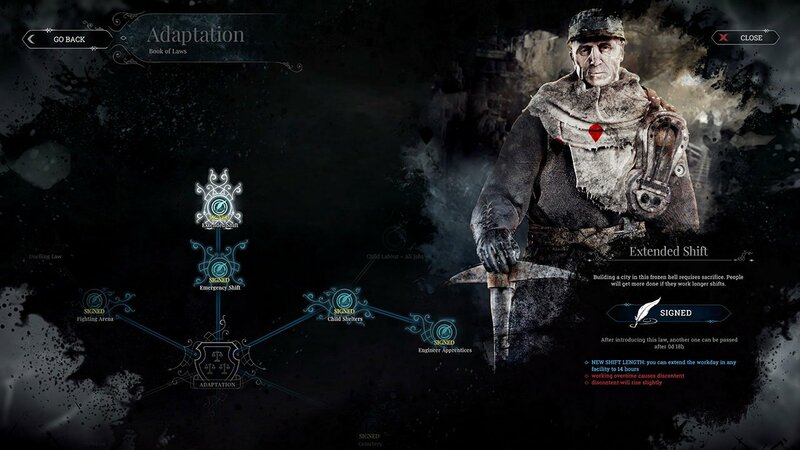 The final and most efficient way to research faster would be to use Automatons. 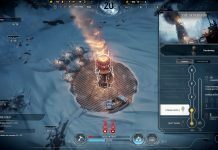 You can craft one automaton for 100 Wood, 100 Steel, 50 Coal and 1 Steam Core. However you can bring these numbers down by researching Streamlined Automatons. 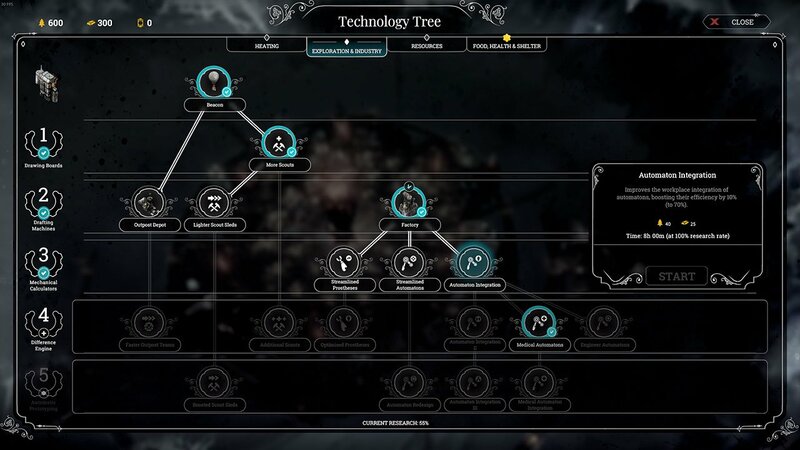 Using an Automaton on the Workshop will mean it can run 24 Hours, so that you are constantly researching. Before doing this, you need to research Engineer Automatons, which allow them to be used in Workshops and Factories. This is as fast as you’re going to get it! The costs are expensive but its definitely worth it and it will massively help with the final storm.